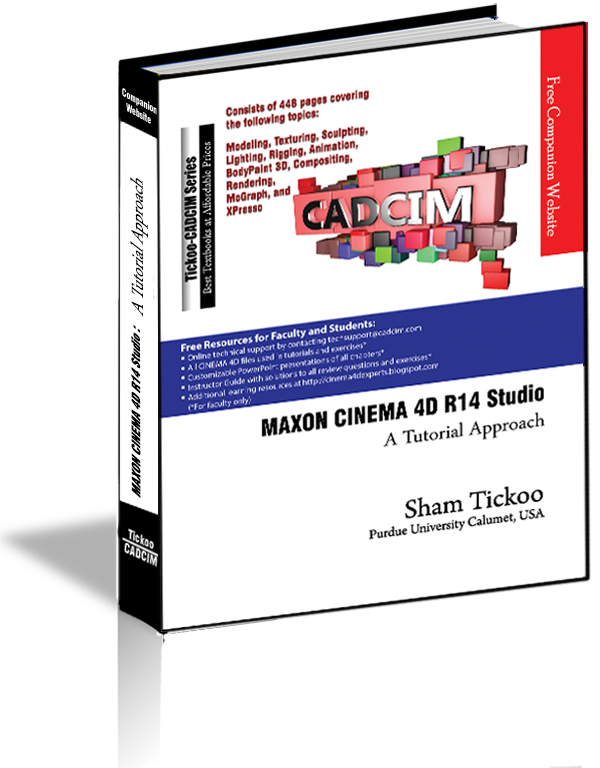 MAXON CINEMA 4D R14 Studio: A Tutorial Approach textbook aims at harnessing the power of MAXON CINEMA 4D R14 Studio for modelers, animators, and designers. 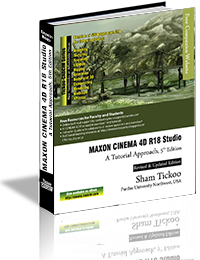 The textbook caters to the needs of both the novice and the advance users of MAXON CINEMA 4D R14 Studio. 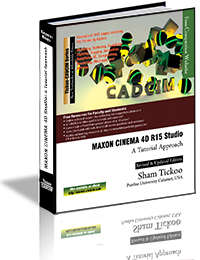 Keeping in view the varied requirements of users, the textbook first introduces the basic features of CINEMA 4D R14 Studio and then progresses to cover the advanced techniques. In this textbook, two projects based on the tools and concepts covered in the book have been added to enhance the knowledge of users. 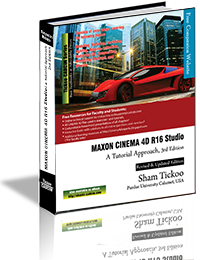 This textbook will help you unleash your creativity and transform your imagination into reality with ease. Consists of 13 chapters and 2 projects that are organized in a pedagogical sequence covering various aspects of compositing. The author has adopted the tutorial point-of-view and the learn-by-doing approach throughout the textbook. This approach helps the users learn faster and work efficiently. 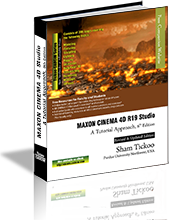 Consists of hundreds of illustrations and a comprehensive coverage of MAXON CINEMA 4D R14 Studio concepts and techniques. Additional information is provided throughout the text book in the form of notes and tips.